Few counties have suffered as much rationalisation of their railway system as Northamptonshire which, at one time, boasted sixty stations compared to just six today. Many branch lines were vulnerable to bus competition and fell victim to the Beeching axe in the 1960s. However, during the closing years of the steam era mighty ‘Princess Coronation’ Pacifics could still be observed thundering along the West Coast main line on Anglo-Scottish expresses while the Midland main line offered ‘Jubilee’ and ‘Royal Scot’ classes on passenger workings interspersed among a seemingly endless procession of coal trains heading for London. 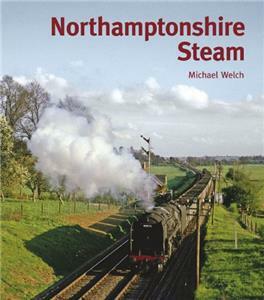 This album shows the last ten years or so of steam, when much of the old infrastructure survived, a period which many enthusiasts remember with affection and regard as the halcyon days of steam in the county.